The sporty 2017 Subaru BRZ in Kansas City has received quite a few revisions for the new model year. Exterior styling modifications have been made, new wheels have been added, an updated engine is found on all models, and enhancements to the chassis have been made in order to improve stability, ride quality and responsiveness. Additionally, the Limited trim is offered with a new Performance Package that does not disappoint. Read our 2017 Subaru BRZ review below for more details about these features and others. 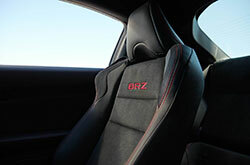 The BRZ coupe is offered in three trims: Premium, Limited and Series.Yellow. Each of these models come with a variety of new features this year that boost their appeal on the market. On the exterior, the 2017 Subaru BRZ in Kansas City gets a new bumper, C-shaped LED headlights, rear combination lights, 17-inch aluminum-alloy wheels and a pedestal-type aluminum rear spoiler. 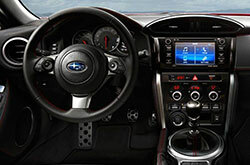 Inside, new audio controls and display switches are present, along with a redesigned leather-wrapped steering wheel. Limited models now come with a fresh 4.2-inch LCD display and an optional Performance Package. The latter is equipped with SACHS Performance shock absorbers, black aluminum-alloy wheels, Brembo calipers and larger rotors on the brakes. 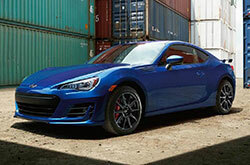 A 2.0L Subaru Boxer engine is outfitted on the BRZ. 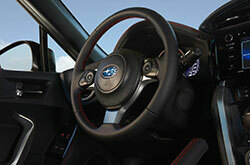 On models equipped with a six-speed automatic transmission, the engine produces 200 horsepower and 151 lb.-ft. of torque. Versions with the six-speed manual offer 205 horsepower and 156 lb.-ft. of torque. If you're looking to purchase the most fuel-efficient model, go with the one outfitted with the automatic. It helps deliver an EPA-estimated 27 mpg combined, 24 city and 33 highway. When it comes to safety, the BRZ offers antilock brakes, stability control, traction control, front side airbags and side curtain airbags. Incline Start Assist, which has been highlighted in several 2017 Subaru BRZ reviews, is also standard across models. The system holds the coupe in place while the driver accelerates to prevent rollback. 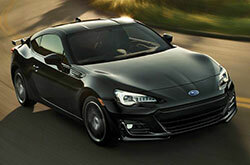 When on the hunt for new cars in the Kansas City metro area, you may have seen the 2017 Mazda Miata, Fiat 124 Spider and the Toyota 86, but the 2017 Subaru BRZ is also a deserving option. Offering an exciting persona and trendy in-car technologies, it could be just what you need from a vehicle. 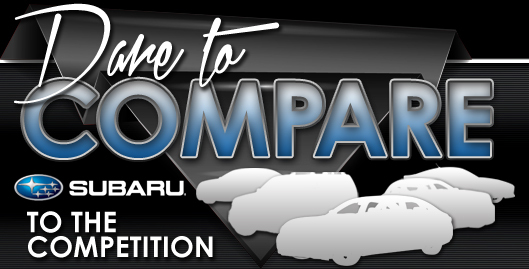 Look over our evaluation and try the vehicle comparison tool to see if the 2017 Subaru BRZ is a best bet for your specific needs; and if you decide it is, check out financing incentives available at Van Subaru. As your go-to Subaru retailer, we're the place to find incentives on the Subaru BRZ, as well as other new and Carfax 1-Owner vehicles. When making your eventual buying decision, we hope our 2017 Subaru BRZ review offers the specifications you need to make an authoritative purchase. 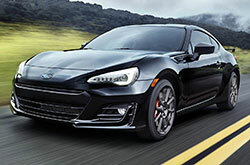 Use our online form to schedule an appointment to test drive the Subaru BRZ in Kansas City, MO, and examine the stately model personally. If you're anxious to see it before your visit, view its exterior design and see how it's appointed in the enclosed video.